As leaders of the 53 Commonwealth countries arrive in the UK for the Commonwealth Heads of Government Meeting in London, we look back at The Royal Family's visits around the Commonwealth. During her reign, The Queen has visited every country in the Commonwealth (with the exception of Cameroon, which joined in 1995 and Rwanda which joined in 2009) and made many repeat visits. In fact, one third of The Queen's total overseas visits are to Commonwealth countries. 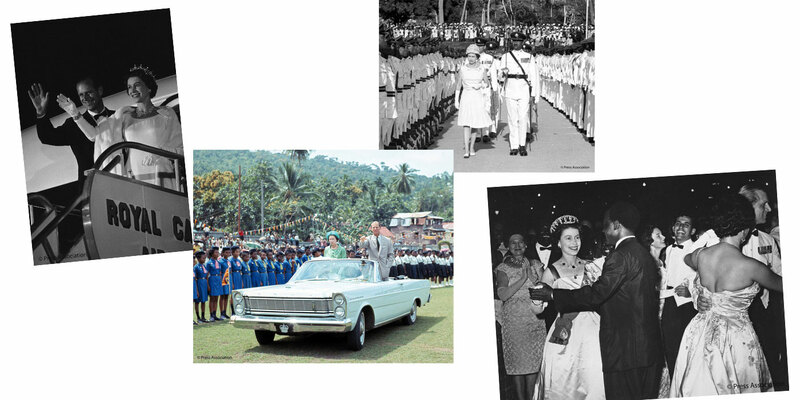 In the sixties, The Queen remarkably visited 28 countries in the Commonwealth, including Ghana, St Lucia, Trinidad and Tobago and Canada. The Queen made an oath to the Commonwealth on her 21st birthday. The then Princess Elizabeth was on The Royal Tour with her parents and sister Princess Margaret, when she delivered the message on the radio from Cape Town, South Africa. Her Majesty's most recent visit to a Commonwealth country was to Malta for the Commonwealth Heads of Government Meeting in 2016. Though she has reduced her Commonwealth travel significantly in recent years, The Queen continues to be engaged with the Commonwealth through regular audiences with High Commissioners, updates from her Private Secretaries and her involvement in projects such as The Queen's Young Leaders and The Queen's Commonwealth Canopy. This commitment to the Commonwealth has since been carried on to The Queen's children and grandchildren. Since 1969, The Prince of Wales has visited 44 of 53 Commonwealth countries to date, many of them on several occasions. 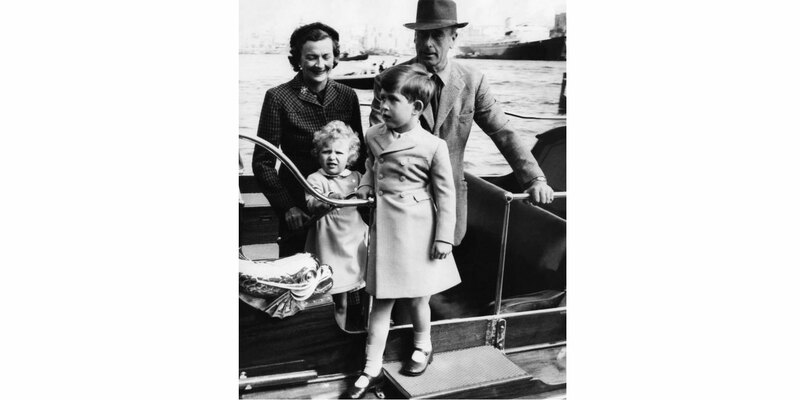 In 1954,The Prince of Wales accompanied his sister The Princess Royal to Malta and then to Tobruk, to meet his parents, The Queen and The Duke of Edinburgh at final stage of the Commonwealth Tour. 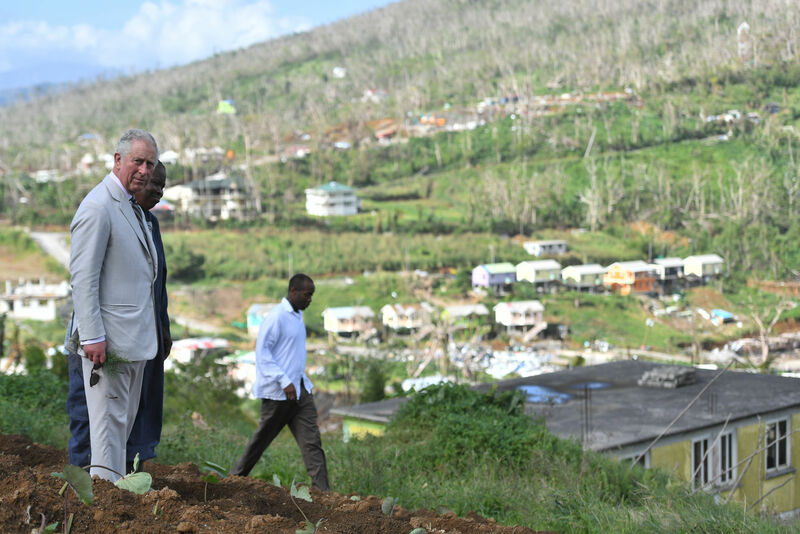 Many of the prominent issues The Prince's charitable endeavours have focussed upon, including the environment, youth opportunity and enterprise, are of immediate relevance to the Commonwealth. 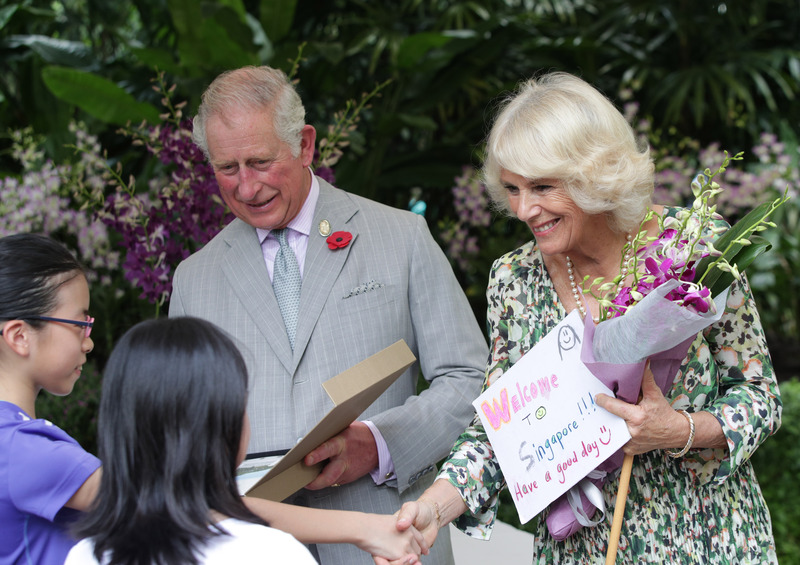 Her Royal Highness The Duchess of Cornwall has accompanied The Prince on the majority of Commonwealth visits since their marriage in 2005 – including The Prince's latest visit to Australia, where HRH opened The Commonwealth Games on behalf of The Queen. Much of The Prince of Wales' visits have sought to identify and address areas of charitable need. Many of the prominent issues The Prince's charitable endeavours have focussed upon, including the environment, youth opportunity and enterprise, are of immediate relevance to the Commonwealth. Several of His Royal Highness's charities have therefore undertaken activities in Commonwealth countries for many years, often in collaboration with local organisations. 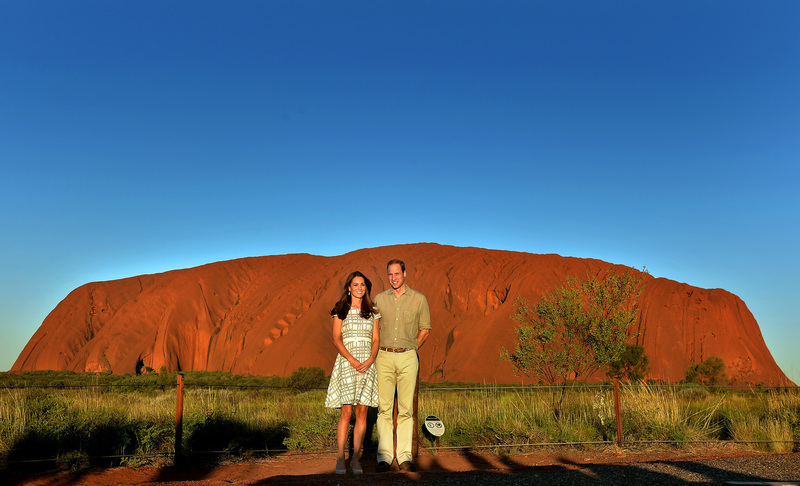 The Duke and Duchess of Cambridge have together made five official visits across the Commonwealth, including to Canada in July 2012, Malaysia, Singapore, Solomon Islands and Tuvalu in 2014, Australia and New Zealand in 2014 and India and Canada in 2016. 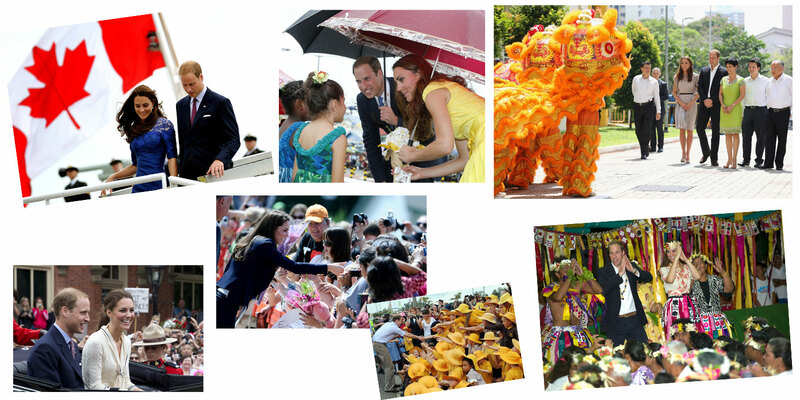 The Duke of Cambridge's first visit to a Commonwealth country was in 2005, when HRH visited New Zealand. 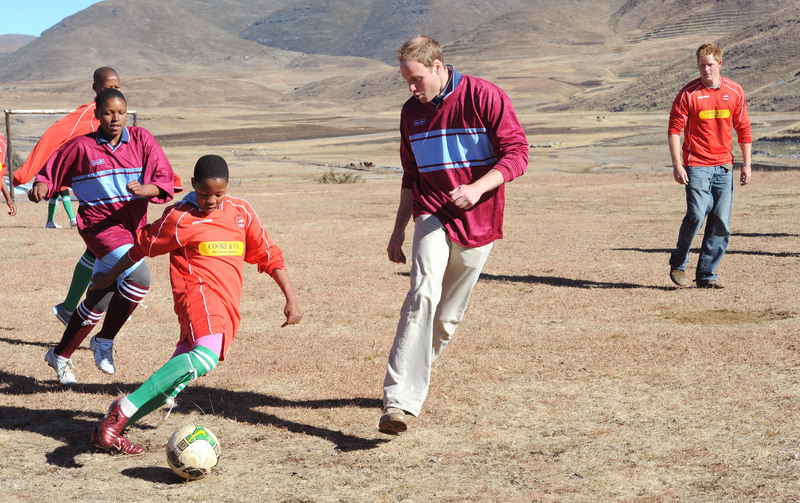 In 2010, The Duke and Prince Harry undertook a tour to Botwana, Lesotho and South Africa together – where they visited a number of projects supported by their respective charities including Sentebale and Tusk Trust. At the Commonwealth Heads of Government Meeting 2018, The Duke spoke about the special network that is the Commonwealth. The forum brought together more than 2,000 CHOGM delegates to London for a week of working sessions to discuss shared global challenges. Prince Harry first official visits to a Commonwealth country was to Canada in 1991 and has since carried numerous official and charity visits to over 20 Commonwealth countries. In 2016, Prince Harry undertook an official visit to the Caribbean on behalf of Her Majesty The Queen. His Royal Highness carried out 14 days of official engagements in Her Majesty's Realms where The Queen is Sovereign, in addition to Guyana – a member of the Commonwealth. In 2018, it was announced that The Queen has appointed Prince Harry as a Commonwealth Youth Ambassador. Prince Harry opened this year's CHOGM's Youth Forum, where he spoke about his new role. 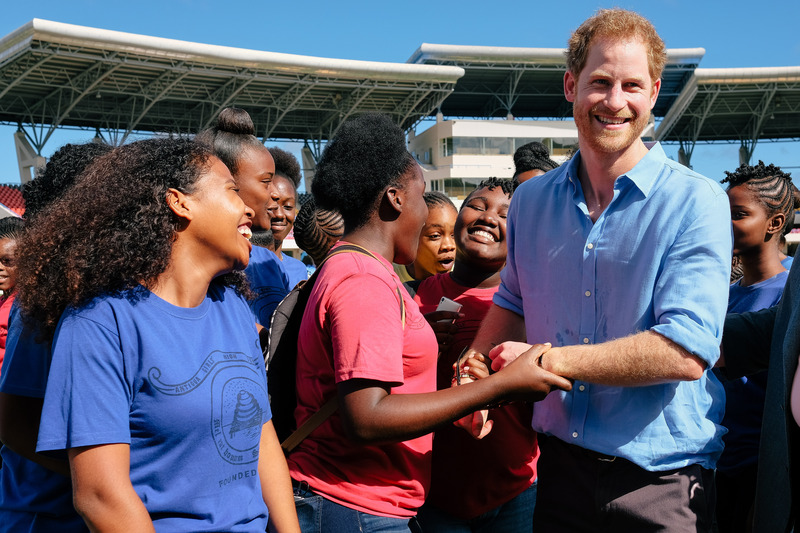 In this new role, Prince Harry will highlight and support the work and aspirations of young people across the Commonwealth, on both UK engagements and overseas tours to Commonwealth countries. The Duke of York has made several visits around the Commonwealth on behalf of The Queen and on charity and official visits. The Duke of York holds several military service appointments across the commonwealth. In Canada, The Duke is Colonel in Chief, ‎The Queen’s York Rangers (1st American Regiment), Colonel in Chief, The Royal Highland Fusiliers of Canada and Colonel in Chief, The Princess Louise Fusiliers. In New Zealand, The Duke is Colonel in Chief, Royal New Zealand Logistics Regiment since 1996. The Princess Royal has visited over 25 Commonwealth countries. The Princess' most recent trip was to Ghana and Sierra Leone in April last year. There, The Princess Royal attended celebrations to mark 60 years of Ghana Independence. The Princess also learnt about the work of the Department of International Development and Non-Government Organisations in Sierra Leone post-ebola. Much of Her Royal Highness's work as Patron of Save The Children takes her to Commonwealth countries, most recently Bangladesh, Mozambique and South Africa. The Earl and Countess of Wessex continue to travel around the Commonwealth, often on behalf of The Queen. Most recently, The Earl and The Countess Sri Lanka in February this year to commemorate the country's 70th Anniversary of Independence, on behalf of The Queen. The Earl continued on to India, the largest country in the Commonwealth, in February this year – carrying out engagements in entrepreneurship, technology, sport and female empowerment. The Countess of Wessex, who is a Global Ambassador of the International Association for the Prevention of Blindness, went to Bangladesh in 2017 to visit projects and organisations working to eradicate avoidable blindness. The Duke of Gloucester visited Malawi earlier this year to celebrate Commonwealth Day and official dedicate Malawi's contribution to The Queen's Commonwealth Canopy. 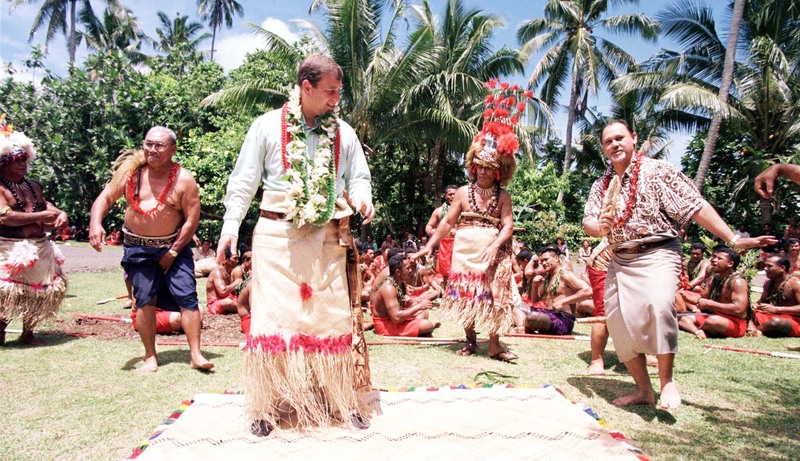 Alongside The Duchess of Gloucester, The Duke has visited Tonga in 2008 where His Royal Highness, representing The Queen, and Her Royal Highness called upon The King of Tonga at the Royal Palace, Nuku'alofa. Princess Alexandra has made 53 visits to Commonwealth countries, including to 19 countries in Africa. In 1960, Princess Alexandra represented Her Majesty The Queen at Independence Ceremonies and opened the first parliament. Find out more about the Commonwealth.